NORTH ANDOVER, MASSACHUSETTS AND WAKE FOREST, NORTH CAROLINA – Citing the dilemma facing newspaper printers who need to replace their old, out-of-date CtP devices, yet have a freeze on capital spending, ECRM and Southern Lithoplate have partnered to provide a simple solution. LifeXtender is a new program launched by leading CtP maker, ECRM, and CtP service and support leader, Southern Lithoplate. LifeXtender is for owners of popular, but aging ECRM CtP units that may not be quite as efficient as previously or simply are out of warranty. “We recognize newspapers have fewer resources to replace older units. That’s why ECRM and SLP have collaborated on this great solution, LifeXtender,” Joe Chevalier, president, ECRM said. “Even the best performing machines like ours, eventually need some rejuvenation. 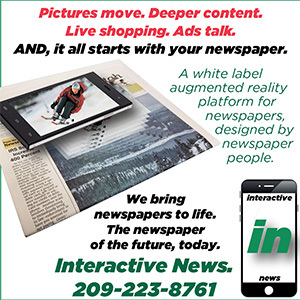 With LifeXtender, we can get your ECRM NEWS, NEWSmatic 60, or NEWSmatic 250 CtP recertified so that it qualifies for a comprehensive parts warranty,” Chevalier added. The program incudes an operational assessment of your currently operating ECRM NEWS, NEWSmatic 60 or NEWSmatic 250 CtP that is either nearing or currently out of warranty. “ECRM then issues a device recertification, documenting the machine qualifies for a parts contract and warranty. You select the term of the warranty/parts contract that fits your needs at a very affordable monthly payment,” Blakeley added. Newspapers that have been taking advantage of the LifeXtender program acknowledge that their management is a lot more open to the managed expense of a parts warranty, because for many operations, capital funding is not even an option. Having a recertified CtP whose life and performance can be extended 2, 3 or more years is critical to news printing operations that simply cannot afford to have their prepress down for lack of parts or service.